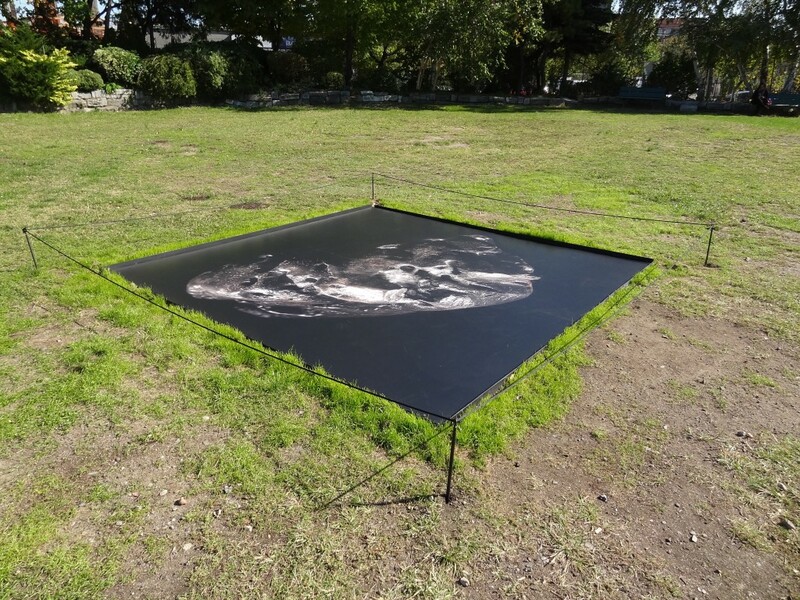 Leah Raintree’s Another Land is a two-dimensional black and white photograph inlayed in the ground of Socrates Sculpture Park, which reads as both an archaeological discovery and a sculptural intervention. Another Land is from the artist’s ongoing series of photographic and sculptural works that take their point of departure and inspiration from Isamu Noguchi’s carved stone sculptures. Noguchi was a distinguished Japanese-American sculptor, designer, and landscape architect whose renowned museum and foundation is only one block away from Socrates. 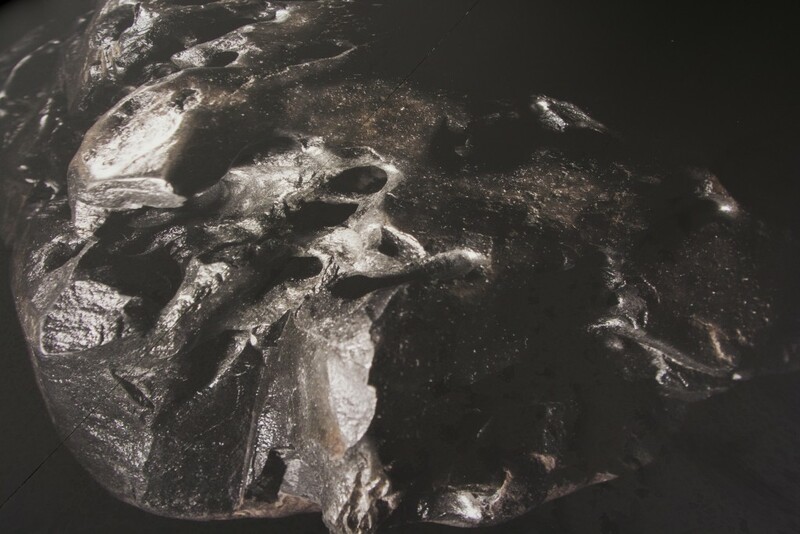 Raintree’s work alludes to Noguchi’s manipulated stone “landscape tables,” the physical geologic markings of glacial retreat, and the photographic documentation of cosmic bodies to form a new, otherworldly image.